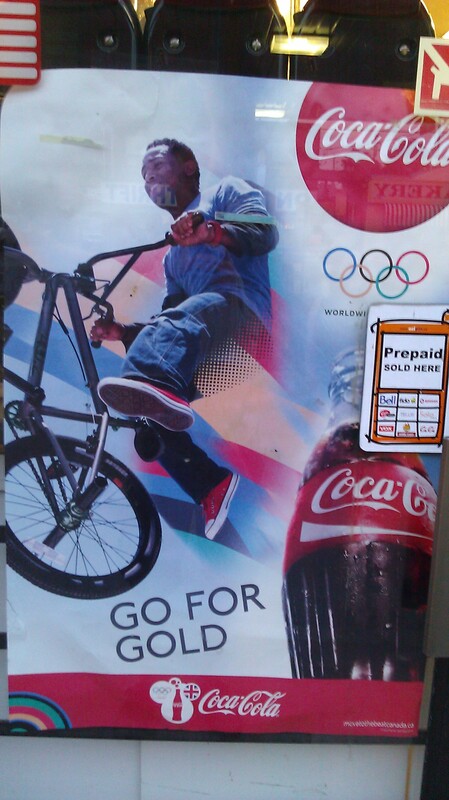 I havent seen any bmx stuff in the olympic adds on tv in australia. I guess we wil hear quit a bit if sam the ozzie ozzie ozzie wins gold though. your average person wouldn’t know how to tell the difference between a bmx and a mountain bike anyway and a crusier ? thats a large boat , isn’t it? It was on a poster in the window of a convenience store in Toronto.